Are you tired of “budget” meaning poor quality? Are you looking to have an authentic experience? Love off-the-beaten track stuff and local spots? Imagine having all the right information at your fingertips. This travel guide is compatible with any smart phone or eReader device. The author, Bianca, has been living in Venice, Italy since 2008 (not to mention numerous Italian voyages over the past 10 years) and wants you to get past the tourist traps and really enjoy Venice for what it’s known for. 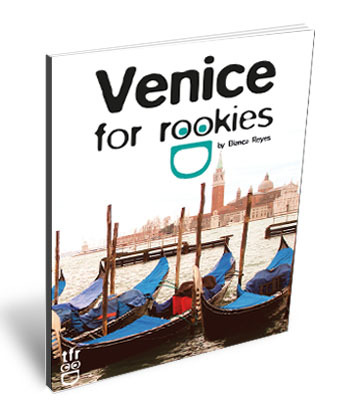 Venice for Rookies is different from any other Venice guidebook because it prepares you with handy “know-how” videos, quick links to free audible tours of the city, does not direct you to tourist trap restaurants, it takes you off-the-beaten tracks, and is written with the same enthusiasm and secrets you would get if you were visiting your best friend in Venice! Estimated Expenditures Chart: Based on per person costs on an average touring day in Venice. 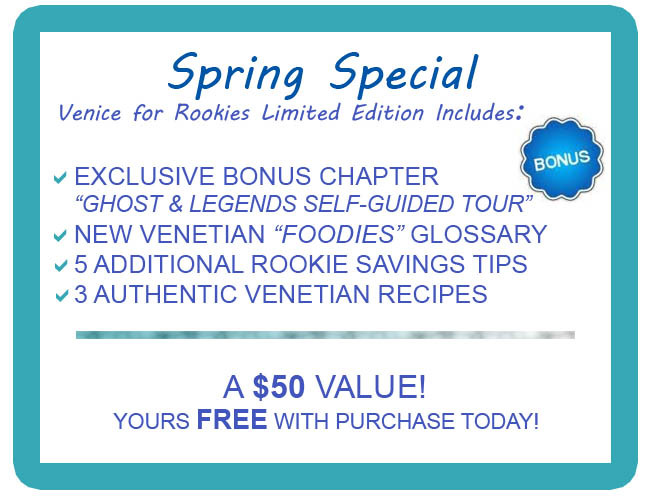 Purchase the Venice for Rookies city guide before you leave and learn exactly how to save over $200 during your trip. The savings from all the travel advice can go towards dining in top Venice restaurants, nightlife, and shopping! 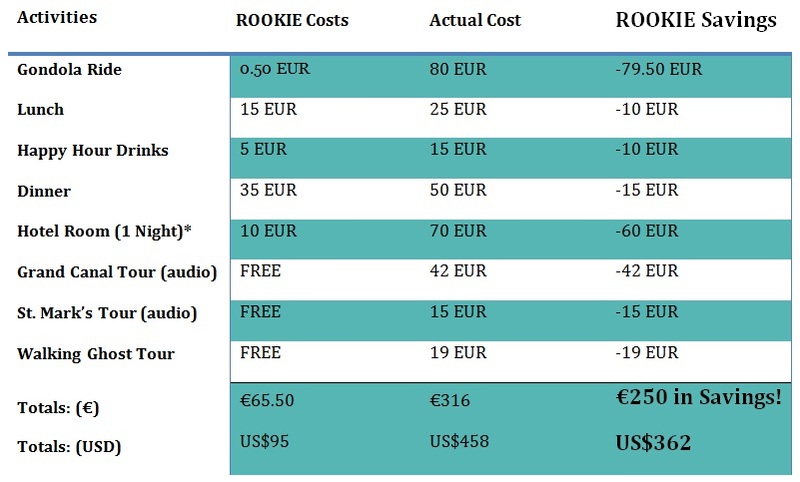 Venice for Rookies: ON SALE NOW!